Bust must be measured with clothing on, as the bolero will be worn on it. New limited collection! 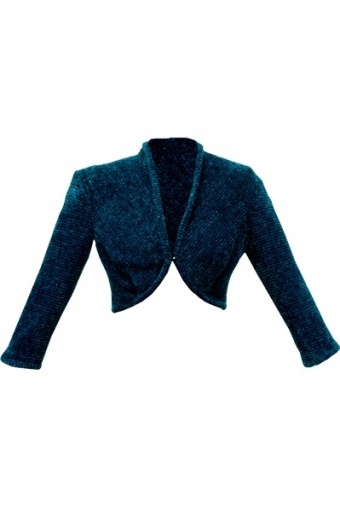 Allegra blue bolero from Miss Candyfloss. 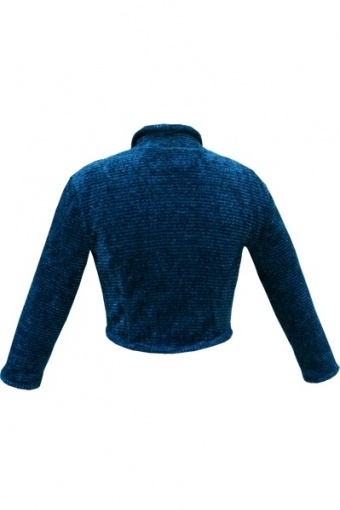 Short little bolero in knitted blue with a silver thread decorated cozy fabric.With 3 quarter sleeves and a small button closure at the front. 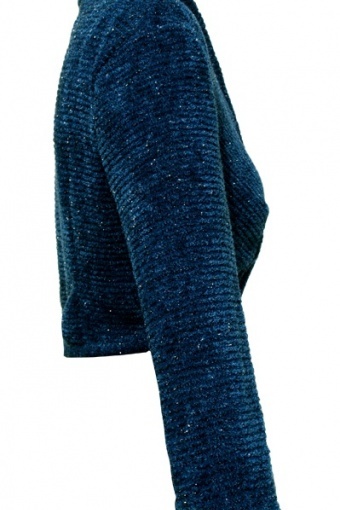 Perfect piece for this season without losing the glamour effect!